Ciarán Mc Mahon considers the psychology behind Facebook and more. It has been around a decade since social networking websites first entered public consciousness – now they seem like an indispensable part of daily life for many of us. What has psychological research shown about why these sites have become so popular? When I first considered writing an article like this some years ago, I imagined that Facebook would become supplanted by some other website, in the same way that it had displaced MySpace. Yet Facebook is now more globally dominant than ever, and, as if to underline my hubris, MySpace is resurgent. Often written off as passing fads for teenagers, these websites now have billions of users – not only with Facebook, Twitter, Google Plus, YouTube, Instagram and MySpace in the West, but with hugely popular sites like Tencent Weibo, Vkontakt and Orkut in the rest of the world. Social media marches on. But, from the point of view of peer-reviewed psychological research, what do we know about what makes these websites popular? Almost a truism at this stage, the human preference for novelty first described by Lord Kames (Home, 1823) plays into the attractiveness of social media. Web designers fret over not delivering enough ‘fresh content’ to users, because we prefer sources of new and stimulating information. Consequently, even beyond the updates posted by our connections, social media sites generally update their design every couple of months, simply to keep our attention. In terms of behaviour per se, the main labour of social media users is adding new connections. However, in building the network, I cannot connect with everyone equally. For example, if I click ‘add as friend’ on Facebook, that person must accept my request for me to be able to see their updates (generally speaking). On Twitter, clicking ‘follow’ means I will see their updates straightaway (usually), though at the same time they may or may not ‘follow’ me in return. In both cases, the user can choose to positively reinforce my behaviour with their reward of their personal information – though it is by no means certain that they will do so. So my behaviour of making a connection request follows a variable schedule reinforcement (Ferster & Skinner, 1957) paradigm: sometimes it is rewarded, and sometimes it is not, meaning that I am very likely to continue to engage in it. Cleverly, many social media websites have concentrated this reinforcement paradigm across several activities into a single signal: the notification icon. By creating a bright, and usually red, ‘+1’ for every time we have received a new piece of information – whether it is a friend request accepted, a new message, new photo ‘liked’ or ‘favorite’ – social media websites encourage us to keep checking them. These icons are not constant features of social media websites (unless we engage with other users incessantly, in which case, job well done by the site’s engineers) – they are unpredictable. Because we can never be certain how many notifications we will have before we log back into these sites, they reinforce our behaviour with all the power of a Skinner box, randomly delivering food pellets in response to a rat’s lever presses. Interestingly, biological research has shown that Facebook usage may be associated with a specific psychophysiological pattern (Mauri et al., 2011). This research suggests that there is a core flow state present when browsing Facebook that is significantly different from stress and relaxation on a number of indices of somatic activity. Being on a social media site is a positive experience – it feels good – and this is why we enjoy using it. Strikingly, a controversial study from last year found that there is some evidence for emotional contagion (Kramer et al., 2014: see box) – when we see expressions of either positive or negative emotions on Facebook, we are more likely to express emotions of that valence in our updates too. It is to be expected that new users of social media will first connect with other users they already know, who should be most likely to accept their invitations. Subsequently, there will inevitably be diminishing returns on behaviour in the user’s early days on a site, in that the same amount of effort will produce decreasing reward. Social media engineers can rely on negative automaintenance (Williams & Williams, 1969) for a time – we will continue to engage in the same way even we are not being rewarded at all. For example, after we have run out of people we know, we will move on to people we only slightly know, who are less likely to reciprocate when we ‘add as friend’ or ‘follow’ them. Consequently, web developers can expect a decline in user activity after their first few weeks, which inevitably plays into what might be the dominant cognitive state of our era: media multitasking. Instead of spending extended periods of time on them, we dip into and out of these sites all day long, checking for updates from friends and family, as well as news and information. Research has shown, unsurprisingly, that Facebook is the most common activity that university students switch to when studying. Worryingly, it has also found that those who most engage in this type of internet browsing tend to have lower levels of educational achievement (Rosen et al., 2013). Interestingly, while multitasking on the whole has cognitive costs, it provides emotional gratifications that its users do not actively seek (Wang & Tchernev, 2012). In addition, research has also shown that there are personality differences in the social media sites preferred by users, with those who preferred Twitter displaying higher need for cognition, and those who preferred Facebook displaying higher sociability, extraversion and neuroticism (Hughes et al., 2012). Paradoxically, given the extent of social media’s popularity, at least a certain amount of the growth of these sites is their exclusivity. Early in Facebook’s history, it was only available to students at élite North American universities. This was gradually extended to global universities, then all adults, and eventually high school pupils, but its growth relied initially on a variation on the scarcity heuristic (Cialdini, 2001). While not many other sites have used this particular gradation mechanism, nearly all new services begin life with ‘invite only’ or ‘waiting list’ messages. While their marketing departments try to stir up publicity, the fact that the public can’t yet access the new cool website only serves to increase its attractiveness. The flipside of this effect is known as Metcalfe’s law, or the network effect (Gilder, 1993). While technically defined as ‘the value of a telecommunications network is proportional to the square of the number of connected users of the system’, it basically means that there is little point in joining a service unless your friends are on it. Again this shows why Facebook originally concentrated on specific universities as these provided readymade populations of interconnected individuals. Several other services – the dating app Tinder, for example – have used the same strategy in concentrating market targeting on college students. Once a whole class join a service, it is extremely useful to them – but if only one or two join, it’s relatively useless. Beyond that point, social media became popular from the very basic principle of conformity (Asch, 1951). If everyone we know is on a particular site, it is very hard to avoid such normative social influence (Deutsch & Gerard, 1955). Again, this has a corollary in what has become known as ‘fear of missing out’ (FOMO) – removing oneself from such a website has psychological side-effects. Interestingly, there has been empirical research that shows that FOMO has significant motivational, emotional and behavioural correlates (Przybylski et al., 2013). However, why we stay members of social media is to do with social capital: the tangible benefits we receive from being members of a group. One of the earliest research teams to look seriously at Facebook found that while using the site didn’t seem to have much effect on bonding social capital – advantages gained from close friends and family, the sort of people who would do anything for you (Ellison et al., 2007) – users did seem to benefit from greater bridging social capital – low-level information, news and advice. For example, you may be friends on Facebook with someone you only met once, which may seem a little pointless – but if they post a status update about a job vacancy that you might be interested in, you could be glad you hadn’t unfriended them! Continuing with this line of research, the same research team has explored how certain ‘Facebook Relationship Maintenance Behaviours’, such as responding to a friend’s good news, requests for help or advice and so on, underlie bridging social capital (Ellison et al., 2014). 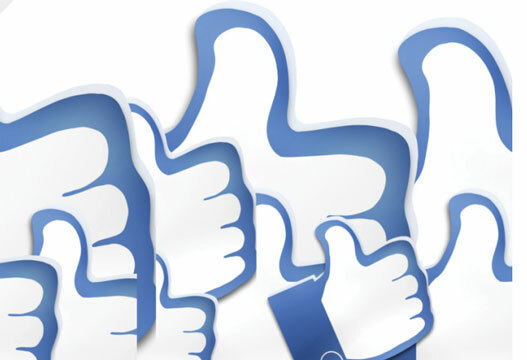 The researchers conclude that Facebook users take advantage of the site’s design features (e.g. birthday reminders) to strengthen the weak ties that underlie bridging social capital. In other words, the site’s affordances allow you to tell someone you don’t know very well that you are still paying attention to them. Interestingly, on Israeli social media site Shox, Schwarz (2010) describes how teenagers use self-portraits (selfies, though that term was not common at the time) as a form of corporeal social capital. As these young people are not yet part of ‘grown-up’ society, they do not have access to the established methods of social influence that adults do, so they use self-portraits as a means of presenting themselves, comparing themselves to each other and thereby building social relationships, both online and offline. There is, Schwarz notes, a certain amount of liberation in the social capital of self-imagery, but it does come at a price – not everyone can play this game, and not everyone succeeds, much like the celebrity culture that it mimics. Furthermore, and what is critical for psychological research to recognise in these contexts – such as funeral research on Instagram (Gibbs et al., 2014) – is that each particular social media site has its own platform vernacular. In other words, to appreciate any social media site fully, researchers need to understand its language practices, which are often unique to it. That said, it does seem like we associate with other people on social media at least in part because of the how good they make us look, and social comparison research remains intriguing. There is long-standing research demonstrating that if our Facebook friends are good-looking, we too will be perceived as better looking (Walther et al., 2008). Additionally, it has also been shown that users of social media sites compare themselves to each other in an effort to manage their mood (Johnson & Knobloch-Westerwick, 2014) – that when we are in a negative mood we prefer to make more downward social comparisons, against those we view as less successful or attractive as ourselves. Interestingly, it has been shown that even anonymous websites have complex community structures. On 4chan, even though it is impossible to distinguish the author of one post from the next in such an environment, and posts disappear if no one interacts with them, Bernstein et al. (2011) have shown that there is still a distinct social hierarchy at work. By using distinctive identity signs, such as difficult-to-reproduce Unicode character displays or time-stamped photographs, 4chan has a distinctive community culture and hierarchy of participation. This gives rise to the most exquisite aspect of both internet and teenage culture: the in-joke. Fundamentally, social media allows its users to socialise with similarly-minded individuals. Additionally, there is ample cultural work that is useful in understanding the psychology of social media sites’ popularity. Foucault (1993) speaks of technologies of the self – techniques by which people manipulate their bodies, minds and behaviour in order to reach some ideal of psychological perfection. While he wrote largely about ancient practices like mediation and diary-keeping, it is clear that there are many such technologies present today. These websites are how many of us now choose to refine and manage our identities. A Foucauldian analysis of social media would necessarily have to incorporate notions of power and governance: social media as an outlet for comparative self-development. LinkedIn, for example, as a professional and business-oriented social media site is extensively used for marking personal progress and improvement. Research has shown that on Xing, a similar professional social network, there is a high degree of authenticity, rather than idealism, present in users profiles (Sievers et al., 2015). But the major use of social media in this regard has been by teenagers and young adults, and has been repeatedly demonstrated by danah boyd (e.g. boyd, 2007). The ethnographic work of boyd demonstrates that within such mediated environments – networked publics – young users of MySpace engage in a considerable amount of time editing and managing their profiles in a process of impression management with regard to their imagined audiences. Critically, boyd was one of the first to underline how teenagers turned to the (appropriately named) MySpace as their physical spaces were restricted by their parents. These days, with geolocation services present on the likes of Instagram and Foursquare, we are now seeing research on the spatial self (Schwartz & Halegoua, 2014). Users of such services portray their social identities according to the places they have been: we like to show our friends that we are getting out. On the whole, self-presentation affordances are a critical aspect of social media’s popularity. On Facebook, Strano (2008) found that female adult users were more likely to change their profile photographs more often, and to emphasise friendships in those photographs. Continuing that vein of investigation, more recent research has also shown that the language we use on social media has a critical effect on how we are perceived by others. Fullwood et al. (2015) found that people whose profiles used textspeak (including emoticons) were deemed to be less conscientious and less open but more emotionally stable. Interestingly, the amount of textspeak used was not important – even small amounts were enough to shift perceptions. once we engage with them, we are at their mercy. The trouble is, as Bucher notes, the algorithms that decide which content is highlighted and which is obscured, are proprietary and secret. I have no way of knowing if Facebook will push my post to the top of my friends’ newsfeeds. Again, though in a much subtler way, this harks back to the variable schedule reinforcement conditioning mentioned above. The thing is, while these opaque algorithms do have a certain amount of control over our social media, we tend to change our minds about our identities quite a lot. As has been argued in philosophy since the early modern period (e.g. Locke, 1700), while there is a continuity to our consciousness, who we are as individuals evolves and changes over time. Temporality, therefore, is an important aspect of the appeal of social media – it allows us to edit our identities in a coherent narrative fashion, of where we come from, where we currently are and where we hope to go. The problem though is that we are not very good at knowing our place in that chronology. A very interesting study by Bauer et al. (2013) asked participants about the privacy settings on their Facebook posts – asking them both longitudinally and retrospectively about whether or not they would like their content to remain public or private. The study’s participants’ predictions about how their visibility preferences would change did not correlate well with their actual changes in preferences over time. This appears to be the appeal of newer picture social messaging applications like Snapchat, which offers a sense of ephemerality to its content, by claiming that pictures sent via its service will automatically be deleted once viewed by their recipients. Naturally, this appeals greatly to younger users, especially those within what Marcia (1966) would term the identity crisis – the developmental stage when young people attempt to decide who they are by trying out new ways of presenting themselves (which they may not want to keep permanently). While there is very little academic psychological research on Snapchat to date, it seems clear that it appeals very much to a generation who have grown up with perils of permanent internet content hanging over them. The major factors driving the popularity of social media usage are fundamentally cyberpsychological. We can simply do things and experience things on social media that we cannot do anywhere else. While sitting alone at home, we can make our most private and personal thoughts instantly and globally public – a historically unprecedented psychological experience. In this way we are experiencing what has been described as online disinhibition (Suler, 2004) – the phenomenon whereby we do and say things on the internet that we probably would not do in a face-to-face environment. This is unnerving, as in certain circumstances of anonymity and perceived privacy we are more likely to engage in self-disclosure of personal information online that we would not do otherwise (Joinson, 2001). Another cyberpsychology concept encourages our participation in social media – that of hyperpersonal communication (Walther, 2007). Because much of online communication online is textual, time-stamped and can be edited, its emotional impact is augmented: we know how long our interlocutors were composing their replies, we can spellcheck our messages, and much more besides. We have yet to get used to this, and this is why social media will continue to be highly fascinating for some time to come. In a holistic sense, the popularity of social media has been driven by how user-friendly and interactive it has made modern cyberspace. In the traditional sociological distinction of home, work and ‘third space’, we now have an online environment – a ‘fourth space’ (Soukup, 2006). In effect, social media has created a much more massive online space where all kinds of interesting activities are very easy to engage in. Many of these have long-standing foundations in psychology – the behavioural, cognitive, social and self/identity factors above. However, the newer cyberpsychological factors are essential to understanding the appeal of this environment, yet remain far less well studied – a new research frontier for psychology. It cannot be denied however, that the discipline faces a number of challenges in this space. We need to get over our ‘digital dualism’: what happens in cyberspace is ‘real’. It is not easy keeping up with the pace of technological developments, but psychologists must not shirk our normative responsibilities. In particular, we need greater interrogation of the affordances of social media sites and apps. Sociology, communication studies and other disciplines have joined the social media party, and psychology must ensure it is not excluded, particularly with the advent of ‘big data’ – who needs a psychologist if you have petabytes of social media data being analysed by the second? Finally, it is sad to say, but online environments provide refutation of the equalisation hypothesis. The hope that ICT would level out differences like gender stereotypes has not been supported (Postmes & Spears, 2002), even more so in intersectional studies (Gray, 2012). This is the toxic online disinhibition Suler (2004) described over a decade ago, yet society is a long way from acknowledging it, or its consequences. As the idea of the internet as an aggressive playground dominates public discourse, the insinuation that we must be ‘resilient’ to online abuse is disturbingly common. In the past, at times of cultural unease, ground-breaking psychological research had profound and vital societal impact. Is such a time upon us again? Last July controversy erupted with what became known as the ‘Facebook Emotion Study’ (Kramer et al., 2014). The study demonstrated a small ‘emotional contagion’ effect: users who saw more emotional content were more likely to post similar content themselves. Debate centred on its methodology, as the newsfeeds of 689,003 Facebook users were altered without their being informed: experimental participation without consent. While websites often restructure, that seldom is described as ‘research’, nor is it for the explicit purpose of trying to make visitors feel better or worse. Consequently, the study began a conversation about research ethics in cyberspace (Aiken & Mc Mahon, 2014). On the one hand, traditional methods are common with social media. An experiment with Facebook users found that when asked to edit their profiles they experienced a relative increase in self-esteem (Gonzales & Hancock, 2011). A cross-sectional survey of Twitter users found correlations between levels of suicidal ideation and whether or not they had posted tweets as such (Sueki, 2014). Content analysis of Facebook profile photographs found no significant difference across genders (Hum et al., 2011). The attraction of social media for teenagers has been explored using ethnographic methods (boyd, 2007). A focus group of London undergraduates revealed many interesting findings (Lewis & West, 2009), such as possibly the first academic description of ‘Facebook stalking’! On the other hand, newer methods are increasingly common. Network analysis has revealed how information flows through adolescents’ groups of friends (Van Cleemput, 2010) and data-mining has illustrated the dynamics of cyberbullying on Twitter (Blanco et al., 2013). These present a challenge for research: fascinating insights, but ethical conundrums. In Kramer et al. (2014), the data had already been gathered by Facebook, passed to the researchers after having been anonymised, with institutional review not deemed necessary, because there didn’t seem to be any human participation. In smaller studies, it is easy to remember that data represent people – this may be more difficult in larger studies. Yet another controversial Facebook study has been published which, while without experimental manipulation, utilised anonymised data from 10.1 million users (Bakshy et al., 2015). Cyberpsychology speaks of online disinhibition (Suler, 2004) – but perhaps researchers should also think about N-line disinhibition: becoming overawed by huge amounts of data. Dignity of participants, long a hallmark of psychological research, may be an mounting issue in cyberpsychological research: are we our social media data? Asch, S.E. (1951). Effects of group pressure upon the modification and distortion of judgments. In H. Guetzkow (Ed.) Groups, leadership and men (pp.177–190). Oxford: Carnegie Press. Bakshy, E., Messing, S. & Adamic, L. (2015). Exposure to ideologically diverse news and opinion on Facebook. Science, 58(4), 707–731. Bauer, L., Cranor, L.F., Komanduri, S. et al. (2013). The post anachronism. In Proceedings of the 12th ACM workshop on privacy in the electronic society. (pp.1–12). New York: ACM Press. Bernstein, M.S., Harry, D., Andr, P. et al. (2011). 4chan and /b/: An analysis of anonymity and ephemerality in a large online community. In ICWSM, Association for the Advancement of Artificial Intelligence (pp. 1–8). boyd, d. (2007). Why youth (heart) social network sites. In D. Buckingham (Ed.) MacArthur Foundation Series on Digital Learning – Youth, Identity, and Digital Media (pp.1–26). Cambridge, MA: MIT Press. Bucher, T. (2012). Want to be on the top? Algorithmic power and the threat of invisibility on Facebook. New Media & Society, 14(7), 1164–1180. Cialdini, R.B. (2001). The science of persuasion. Scientific American, 284(2), 76–81. Deutsch, M. & Gerard, H.B. (1955). A study of normative and informational social influences upon individual judgement. Journal of Abnormal Psychology, 51, 629–636. Ellison, N.B., Steinfield, C. & Lampe, C. (2007). The benefits of Facebook ‘Friends’. Journal of Computer-Mediated Communication, 12(4), 1143–1168. Ellison, N.B., Vitak, J., Gray, R. & Lampe, C. (2014). Cultivating social resources on social network sites. Journal of Computer-Mediated Communication, 19(4), 855–870. Ferster, C.B. & Skinner, B.F. (1957). Schedules of reinforcement. East Norwalk, CT: Appleton-Century-Crofts. Foucault, M. (1993). About the beginning of the hermeneutics of the self. Political Theory, 21(2), 198–227. Fullwood, C., Quinn, S., Chen-Wilson, J., et al. (2015). Put on a smiley face: Textspeak and personality perceptions. Cyberpsychology, Behavior and Social Networking, 18(3), 147–151. Gibbs, M., Meese, J., Arnold, M. et al. (2014). #Funeral and Instagram: Death, social media, and platform vernacular. Information, Communication & Society, 18(3), 255–268. Gray, K.L. (2012). Intersecting oppressions and online communities. Information, Communication & Society, 15(3), 411–428. Gonzales, A.L. & Hancock, J.T. (2011). Mirror, mirror on my Facebook wall: Effects of exposure to Facebook on self-esteem. Cyberpsychology, Behavior and Social Networking, 14(1–2), 79–83. Hogan, B. (2010). The presentation of self in the age of social media: Distinguishing performances and exhibitions online. Bulletin of Science, Technology & Society, 30(6), 377–386. Home, H. (1823). Elements of criticism: Volume 1 (4th Americ.). New York: S. Campbell & Son, E. Duyckinck [etc.]. Hughes, D.J., Rowe, M., Batey, M. & Lee, A. (2012). A tale of two sites: Twitter vs. Facebook and the personality predictors of social media usage. Computers in Human Behavior, 28(2), 561–569. Hum, N.J., Chamberlin, P.E., Hambright, B.L. et al. (2011). A picture is worth a thousand words: A content analysis of Facebook profile photographs. Computers in Human Behavior, 27(5), 1828–1833. Johnson, B.K. & Knobloch-Westerwick, S. (2014). Glancing up or down: Mood management and selective social comparisons on social networking sites. Computers in Human Behavior, 41, 33–39. Joinson, A.N. (2001). Self-disclosure in computer-mediated communication. European Journal of Psychological Assessment, 31, 177–192. Kramer, A.D.I., Guillory, J.E. & Hancock, J.T. (2014). Experimental evidence of massive-scale emotional contagion through social networks. Proceedings of the National Academy of Sciences, 111(24), 8788–8790. Lewis, J. & West, A. (2009). ‘Friending’: London-based undergraduates’ experience of Facebook. New Media & Society, 11(7), 1209–1229. Locke, J. (1700). An essay concerning humane understanding, in four books (4th edn). London: Awnsham and John Churchill. Marcia, J.E. (1966). Development and validation of ego-identity status. Journal of Personality and Social Psychology, 3(5), 551–558. Mauri, M., Cipresso, P., Balgera, A. et al. (2011). Why is Facebook so successful? Cyberpsychology, Behavior, and Social Networking, 14(12), 723–731. Postmes, T. & Spears, R. (2002). Behavior online: Does anonymous computer communication reduce gender inequality? Personality & Social Psychology Bulletin, 28(7), 1073–1083. Przybylski, A.K., Murayama, K., Dehaan, C.R. & Gladwell, V. (2013). Motivational, emotional, and behavioral correlates of fear of missing out. Computers in Human Behavior, 29(4), 1841–1848. Rosen, L.D., Mark Carrier, L. & Cheever, N.A. (2013). Facebook and texting made me do it: Media-induced task-switching while studying. Computers in Human Behavior, 29(3), 948–958. Schwartz, R. & Halegoua, G.R. (2014). The spatial self: Location-based identity performance on social media. New Media & Society. doi:10.1177/1461444814531364 . Sievers, K., Wodzicki, K., Aberle, I. et al. (2015). Self-presentation in professional networks. Computers in Human Behavior, 50, 25–30. Soukup, C. (2006). Computer-mediated communication as a virtual third place. New Media & Society, 8(3), 421–440. Sueki, H. (2015). The association of suicide-related Twitter use with suicidal behaviour. Journal of Affective Disorders, 170,155–160. Suler, J. (2004). The online disinhibition effect. CyberPsychology & Behavior, 7(3), 321–326. Van Cleemput, K. (2010). ‘I’ll see you on IM, text, or call you’: A social network approach of adolescents’ use of communication media. Bulletin of Science, Technology & Society, 30(2), 75–85. Walther, J.B. (2007). Selective self-presentation in computer-mediated communication. Computers in Human Behavior, 23(5), 2538–2557. Walther, J.B., Van Der Heide, B., Kim, S.-Y. et al. (2008). The role of friends’ appearance and behavior on evaluations of individuals on Facebook. Human Communication Research, 34(1), 28–49. Wang, Z. & Tchernev, J.M. (2012). The ‘myth’ of media multitasking. Journal of Communication, 62, 493–513. Williams, D.R. & Williams, H. (1969). Auto-maintenance in the pigeon. Journal of the Experimental Analysis of Behavior, 4(4), 511–520.